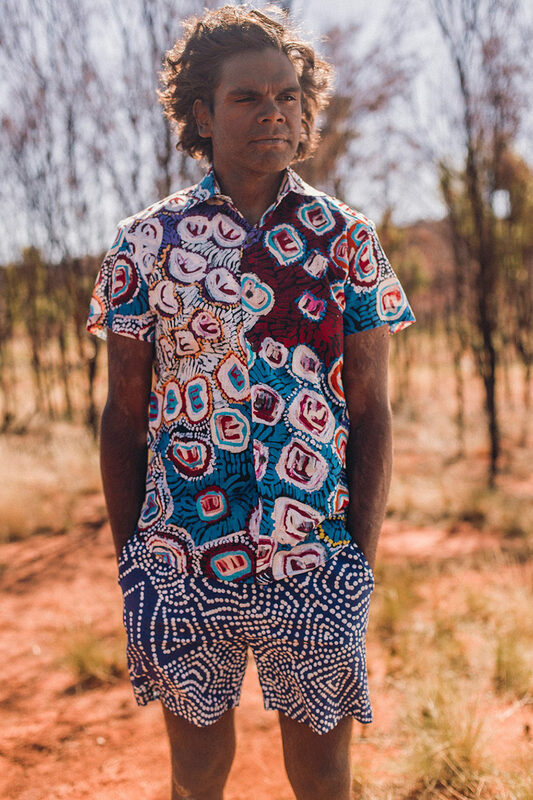 North’s Warlu Collection – Each artwork featured in this collection is of one of the artist’s Jukurrpa – often called a Dreaming Story. 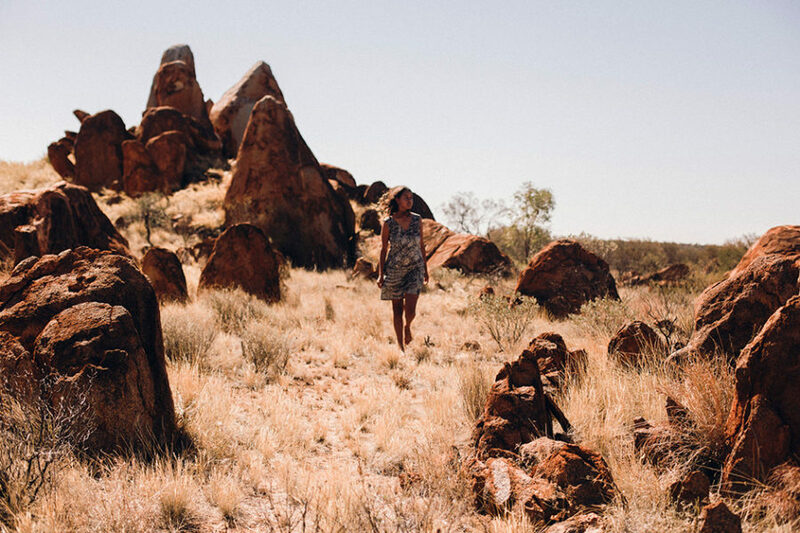 Down a long red road, five hours north-west of Alice Springs the artists of Yuendumu and Nyrippi communities share stories of their country through bold brush strokes and joyful colour. 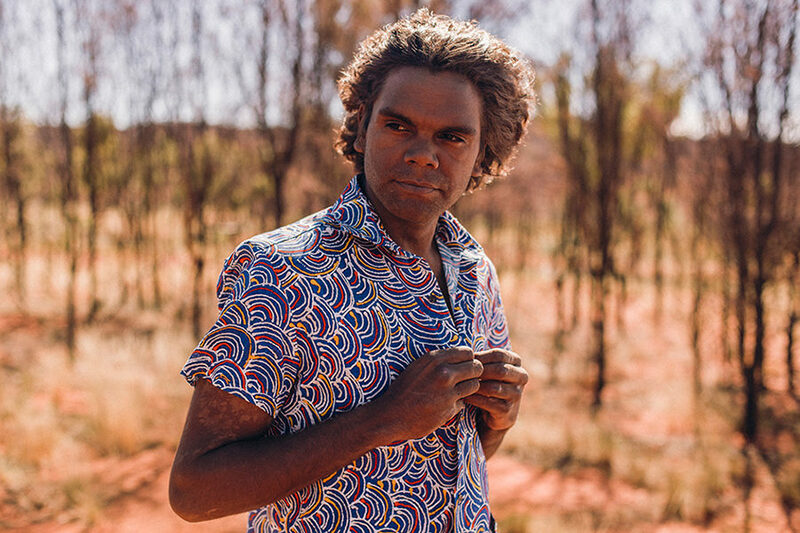 This vibrant collection of statement pieces is uniquely connected to the desert through its people, art and stories, with each design featuring the artwork of one of the artist’s Jukurrpa – and often called a ‘Dreaming Story’. 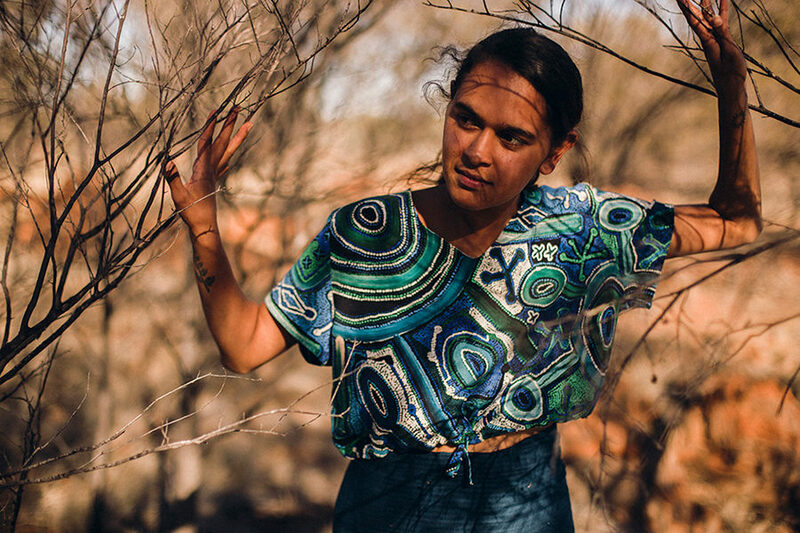 Finders Keepers is so incredibly thrilled to welcome NORTH Home Textiles to Sydney next weekend as our Indigenous Program recipient for the final stop of our Spring Summer season. We have been swept away by the imagery before us – the bold colours against the red earth, and that glorious golden sunlight. 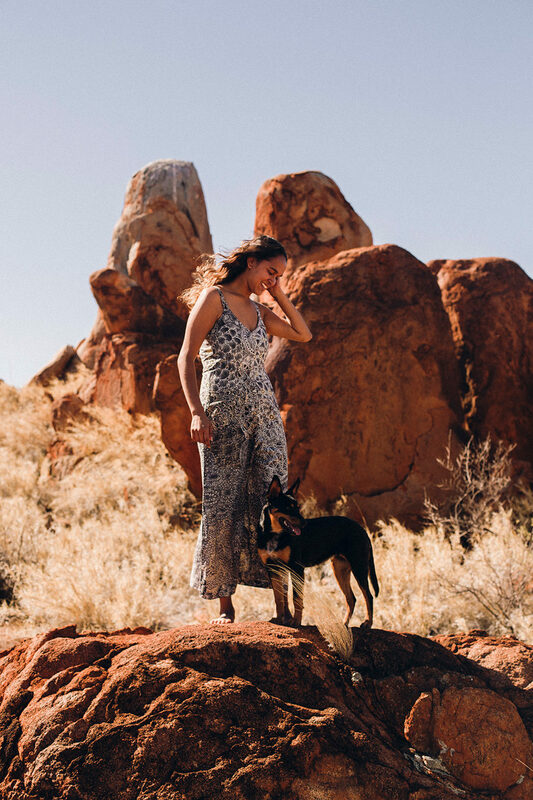 We love that NORTH is using Fashion in particular as a vehicle to celebrate culture and Indigenous textile practices – understanding the importance of both identity and community and seeking collaboration to create inspiring homewares, clothing, and accessories. More words below from CEO and Founder, Crystal Thomas. Settle in, this one is beautiful. If you’re lucky enough to be in Sydney next weekend Nov 30-Dec 2, a visit to NORTH’S stall at Finders Keepers is a must. Join us in supporting this beautiful brand in translating stories into everyday wares and ethical fashion by visiting them at stall A10. Tell us about how NORTH works and the role it plays in the artistic and cultural life of traditional Aboriginal artists. NORTH exists as a platform to celebrate and broaden the exposure of Indigenous textile artists. When we properly collaborate, a sense of ownership and pride over the final marketed product is felt by the artist and their community. NORTH not only works to generate an income for our partnering art centres and their artists, but a really big part of what we do is communicate back to the art center about how their products are being received by the market – we do this by sending photos, newsletters plus visiting and sharing stories with the artists. A collaborative process means that the skill of Aboriginal artists is not just celebrated down south (Sydney, Melbourne, Adelaide etc), but that this celebration is both communicated back to the community and experienced by the community as an achievement of their work. 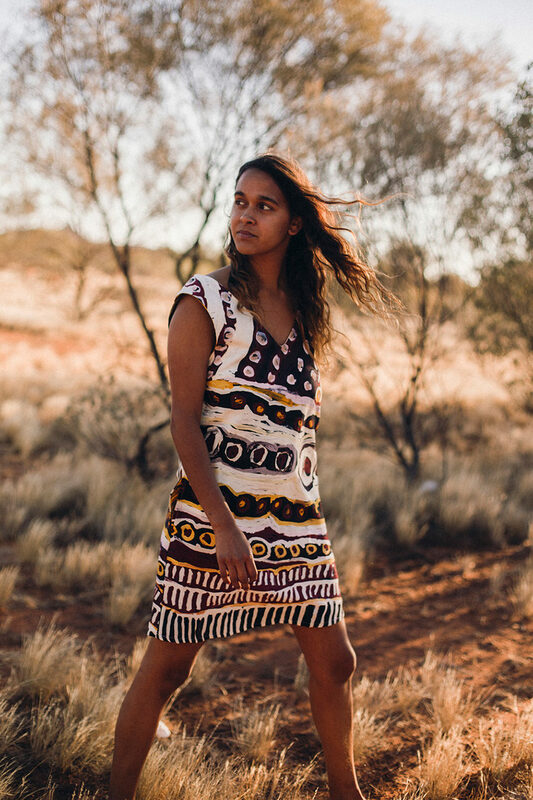 We are currently selling The Warlu Collection – A fashion collaboration with central desert artists from Warlukurlangu Arts in Yuendumu and Nyrippi. We also have the Melville Island and Nauiyu collection working on upholstery fabrics for residential and commercial Interior Design and Architecture. Our fashion collaborations are the most accessible to the general public and have been our most effective and popular ranges. 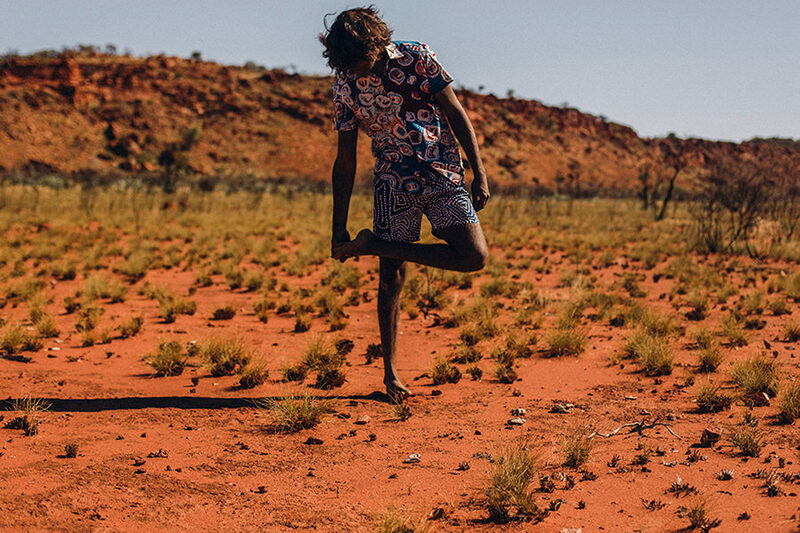 Fashion continues to be a vehicle to represent identity and NORTH provides a unique opportunity to celebrate culture and Indigenous textiles practices which bring depth and value to contemporary fashion. Personally, I love statement textiles in Interiors. There’s nothing that makes me more excited than Kieren’s huge 60×60 Fish-Net cushion. Also, the potential to bring textiles into grand public spaces is something that many Indigenous artists we work with, would love to see develop and grow. We hope that great designers and architects continue to integrate the textiles into their commercial projects! What are you most looking forward to about your upcoming stall at our Sydney market? Meeting Sydney locals and getting a feel for what customers based in different states gravitate towards within the current NORTH collections. Observing the cuts and fits of the garments. Listening and learning to how small improvements can be made for upcoming collections. Also, meeting other creatives and being a part of the Finders Keepers stall holder community!